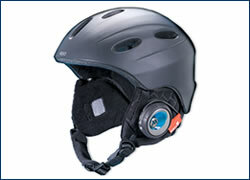 Recently launched at the 2005 Consumer Electronics Show, Motorola’s Bluetooth-enabled jackets, helmets (pictured) and beanies will provide wireless, high-performance connectivity and playability on the slopes for the winter season. The collaboration between Motorola and Burton Snowboards offers winter sports lovers the ability to switch between their iPod playlist and incoming calls in mid-air. Prices to be announced. The Siemens Limited Edition SL65 ESCADA is an inspired team effort by the trendsetting designers of ESCADA and the renowned engineers at Siemens. 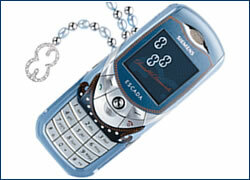 A special lacquering highlights the artful motifs of this hi-tech beauty, and Swarovski crystals grace the phone’s body. 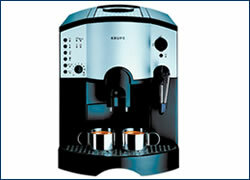 In addition, the SL65 ESCADA features the same state-of-the-art technology of the “regular” Siemens SL65. CZK 24,250 at http://shop.escada.com.